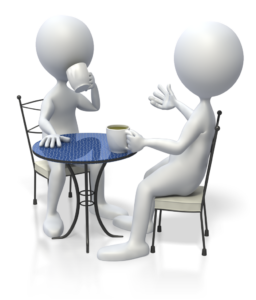 Caregiver socialization is often overlooked as an important self-care strategy. Maintaining old relationships and developing new ones can help caregivers avoid becoming isolated, lonely and depressed. There were no support groups in my mother’s community during the time she cared for my dad, so when she was invited to join the Friday Morning Coffee Group, it was a very big deal. It provided her with a new social network and it gave her something to look forward to every week. 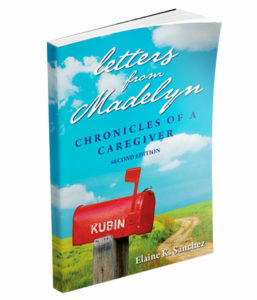 If you are caring for a loved one at home, I hope you will listen to today’s installment of “Letters from Madelyn”. Like her, I hope you’ll find a way to take a break at least once a week to stay connected socially and to do something you enjoy. It takes a lot of physical and emotional energy to provide long-term care for someone who can no longer care for him/herself. If you set aside time to take care of yourself, you might be surprised by how much more you’ll have to give to others. Try to remember that self-care isn’t about being selfish, it’s about survival. If you have a “To Do” list today, I hope you’ll put caregiver socialization at the top.